Electric pressure cookers are fast. They’re great for nights when you don’t have too much time on your hands, since foods will cook up to 70% faster than with traditional methods. I personally own an Instant Pot Ultra, and use it multiple times a week. Read on for my five best tips for cooking frozen meats in the Instant Pot! 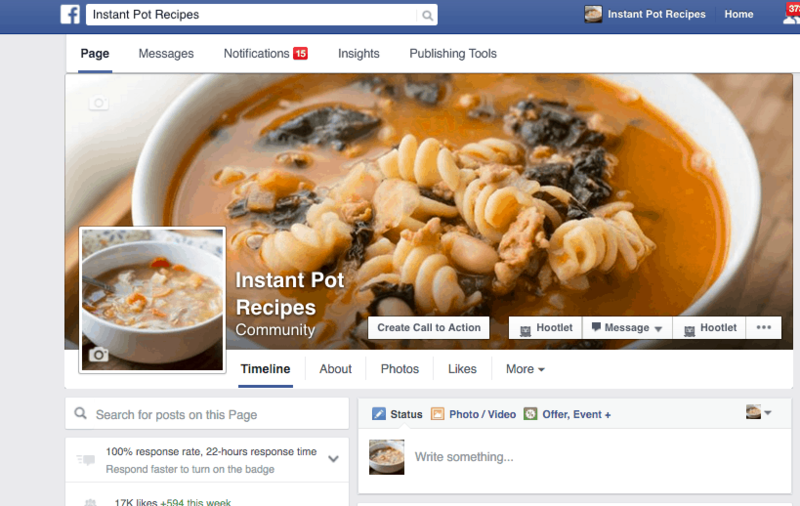 Join the Instant Pot Recipes group on Facebook! 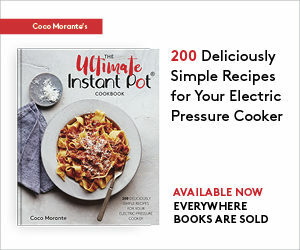 My enthusiasm for the Instant Pot inspired me to start Instant Pot Recipes, a Facebook page for electric pressure cooker recipes from around the web. We’ve quickly grown to a community of 300k followers and counting, and so I find myself fielding all kinds of Instant Pot-related questions daily. I invite you to come on over and join us if you’re looking for Instant Pot recipes, or if you’d like to share your own creations. By far, the most popular sort of questions revolve around cooking frozen foods. What’s the problem you guys, the pressure cooker isn’t convenient enough? You’ve got to throw me another curve ball? In all seriousness, though, it is indeed possible to successfully cook meats in the Instant Pot (or any other pressure cooker for that matter), straight from the freezer. You just have to keep a few rules in mind. 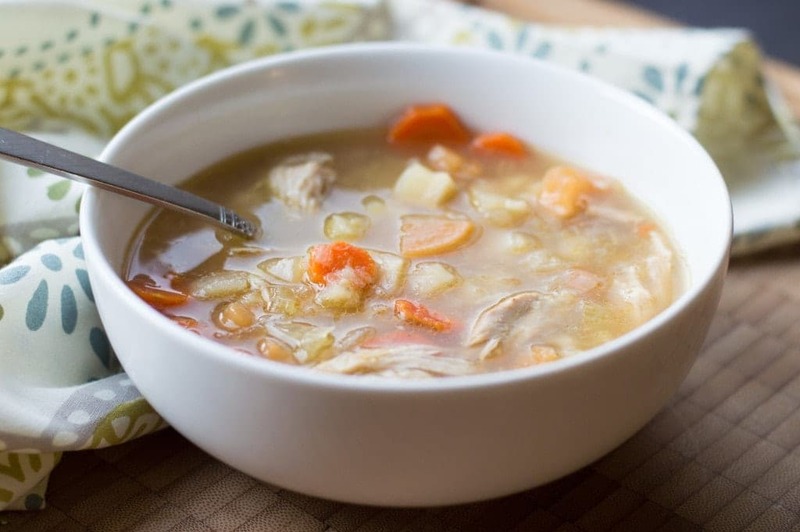 Substitute frozen chicken thighs for the drumsticks in my Chicken Drumstick Soup. 1. The thinner the cut of meat, the better the end result. Think chicken thighs or small to average-sized breasts, thin-cut pork chops, flank or skirt steak, or small fish fillets. Larger cuts such as pot roast, whole chicken, or whole pork shoulder won’t work well straight out of the freezer. 2. Break down larger cuts of meat and freeze them in smaller pieces in advance. Let’s say you find a great deal on a big roast, but you won’t be able to use it this week. When you get it home from the store, cut it into 1-inch or smaller pieces, then spread them out on a cookie sheet and pop it in the freezer for two hours. When the meat is frozen through, transfer the pieces to a freezer bag and store for up to 12 months. It will be great for a stew or chili. 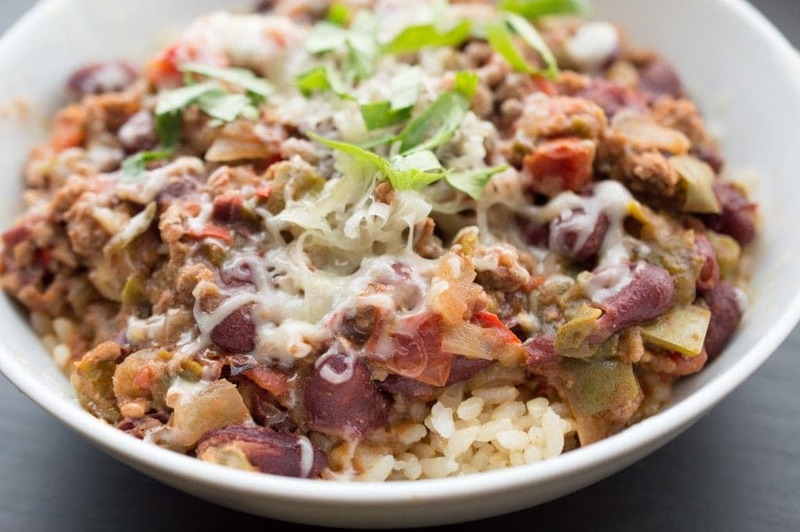 Freeze ground turkey in a thin layer to use it in this Spicy Turkey and Bean Chili. 3. Freeze ground meat and sausage in a thin layer. Transfer one pound of meat to a gallon freezer bag, then use your hands or a rolling pin to flatten it out into an even layer. Seal the bag, then store in the freezer for up to four months. When you are ready to use the meat, it is easy to break it up in to smaller pieces. The thin pieces will thaw relatively quickly when browned on your pressure cooker’s “Sauté” setting. 4. Boil, don’t braise (or steam). Frozen meats cook most evenly and efficiently when completely submerged in liquid. You’ll have the most success with soups, stews, chilis, and chowders, a.k.a. recipes where you cover the ingredients completely with their cooking liquid (usually water, broth, or stock). The liquid conducts heat more efficiently than steam, so the meat has a better chance of getting cooked all the way to the center if it is completely covered. 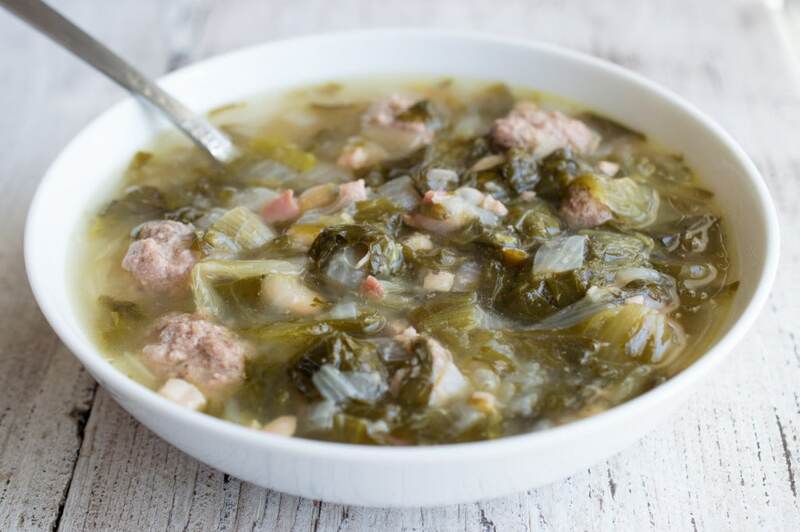 Pre-freeze the meatballs for this Italian Wedding Soup! Recipe developed by me for Garlic Gold®. 5. Allow extra time for the pressure to build (and a little more time to cook the meat). Frozen ingredients will lower the temperature in your pressure cooker, so it’ll take a bit longer for the liquid to boil and build up pressure in the pot. As a general rule for thin cuts of meat (and ground meat, broken into small pieces), add five minutes of extra cooking time to whatever the recipe recommends. Those’re my best tips for cooking frozen meats in the Instant Pot. If you’ve got any other tips to share, please let me know in the comments below! Oh, and here’s a coupon code for those of you who’ve gotten to the bottom of this post! 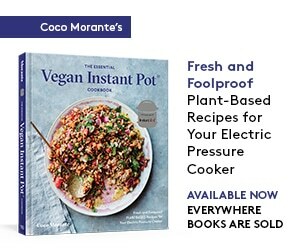 To receive a discount, enter coupon code “Coco” at the Instant Pot Online Store. They offer free shipping on all items, including accessories like extra inner pots, mini mitts, and sealing rings. This post contains Amazon and Instant Pot affiliate links. When you click through and shop, I will receive a small sales commission on your purchase. Thanks for supporting my blog! I am new to electric pressure cooking. I have the same one you do.. Instant Pot DU060 but I’ve used a stove top pressure cooker all my life. What a difference this is to the old fashioned one. LOVE IT. Looking forward to hearing from you. I have two adult”boys” (ages 57 and 58) living with me (LOVE IT!!!) We are all trying new recipes and having fun doing it. What else do I have to do? It’s like a new toy! Thanks for adding me to your list. Welcome to the club, Kathleen, I’m sure you’ve made tons of amazing meals since posting here! HI, I’m on the site right now to buy 2 of the pots, but your code “coco” is only giving $10 off the $200 price. Any idea why? Has the offer expired, or am I doing something wrong? The offer may not be the same anymore — this post was made quite some time ago! I’ll look into it w/Instant Pot and see what sort of coupon codes they will be offering in 2018. I’m new to instant pot. Would like some good recipes and hints. I’m new to the express pot need some guidance and ideals. Can I use frozen meat and where do I get good recipes for simple everyday life? This post was very helpful in finally getting me off the fence about buying one . Thank you! I just ordered my Insta Pot. Oh and thanks for the coupon code!!! I just got my instant today & really want to make country ribs. Can I cook them frozen? I always cook them frozen. They are wonderful! I cook them 45 minutes for country ribs.